Connecting a Teletype to your computer is typically not a simple task. Gaining access to the terminal block on which the transmit and receive loops are present is not easy, and the four specific terminals to which the data lines must be connected are not marked as such. 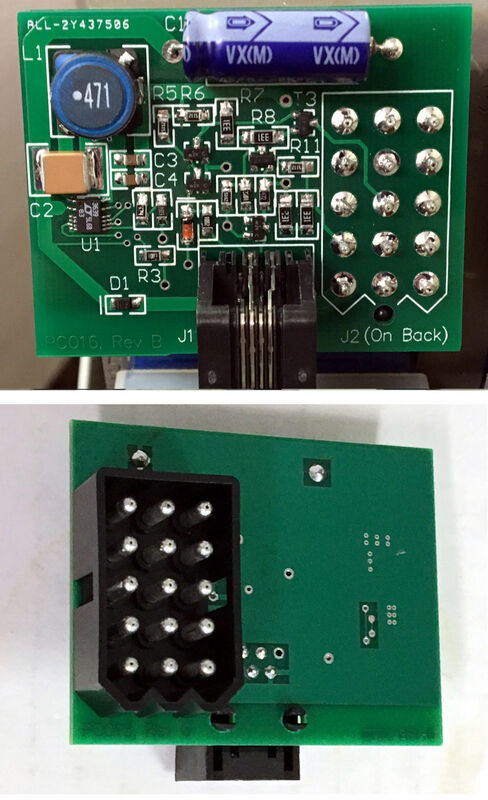 The serial interface with the Teletype uses 20ma current loop signaling instead of the RS-232 standard. For greater flexibility, many hobbyists use an external current loop to RS-232 adapter to allow connection of the Teletype to RS-232 serial boards. Configuration and connection of this external adapter adds to the complexity of getting the Teletype interface to work. The adapter is also another piece of equipment sitting on your desk, tethered with wires coming out both sides, and requires yet another power adapter plugged into your outlet strip. This plug and play adapter eliminates these problems by providing a simple plug-in interface to the Teletype from which it obtains power and access to the Teletype data loops. The adapter also provides a current loop to RS-232 conversion which terminates into a standard RJ-14 modular jack. This jack allows quick connection to modular DB-25 or DB-9 connectors. The Teletype RS-232 adapter comes fully assembled and tested as shown in the pictures on this page. A telephone cord and modular DB-25 connector are not included. Version "B" of the board is now shipping. Version B increases the voltage across the distributor path to 12v instead of 5v, allows the minus side of the transmit and receive loops to be common, and also allows the loop common to be attached to the TTY common. All prices are in US dollars. Shipping charges are additional and vary based on destination. Shipping charges can be seen during the checkout process, prior to submitting the order.